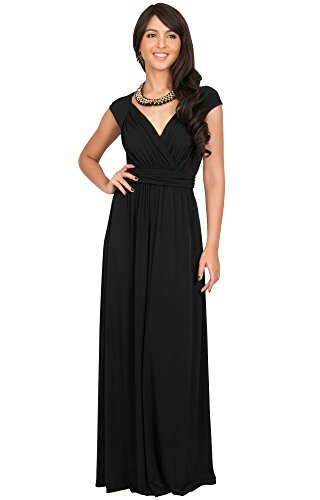 This is the perfect special holiday occasion dress or as a bridesmaids dress, so flattering, slimming and versatile. 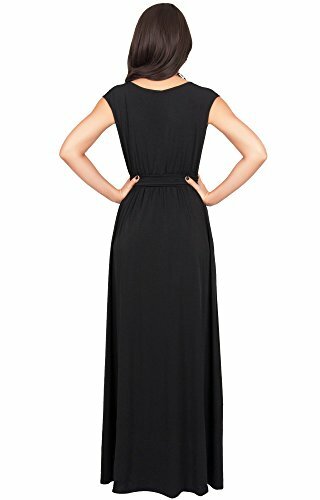 This stunning design features crossover chest and an elastic waist band ensuring that this beautiful maxi dress is flattering for all body shapes. 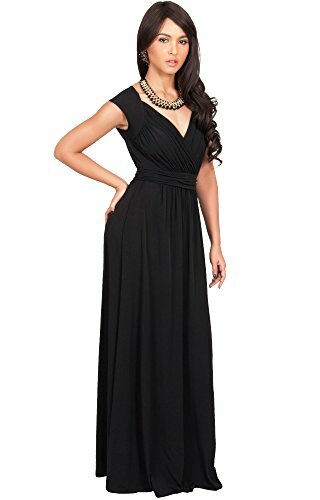 The heart shaped neckline is absolutely unique and will draw attention to your beautiful figure. 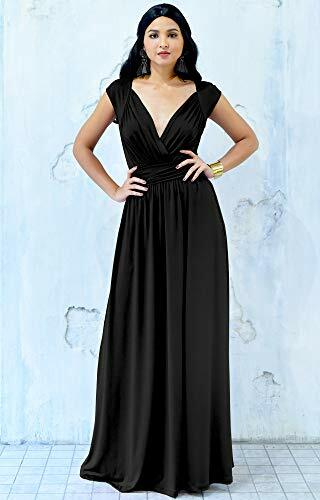 With our wide range of sizes, these elegant maxi dresses can also be perfectly worn as maternity dresses, pregnancy maxi dresses and a definitely gorgeous plus size maxi dress. 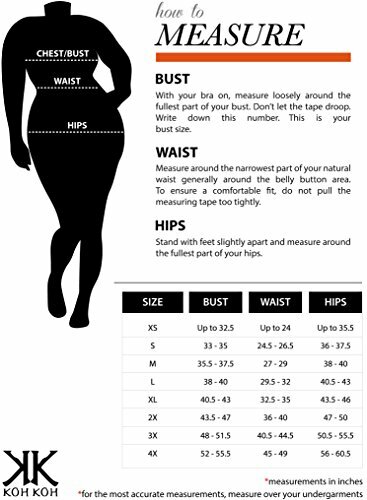 The color is Black and size Medium / M / 8-10.